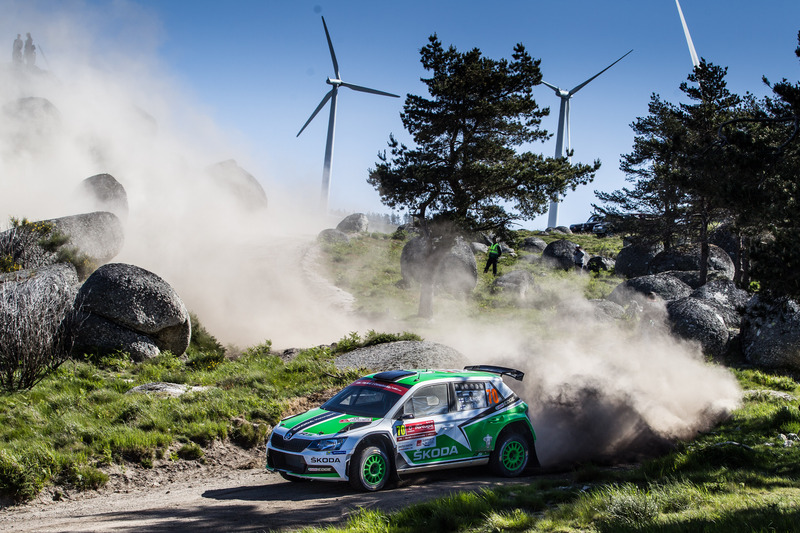 › Hrabánek: "Very successful weekend for ŠKODA"
Porto, 24th May 2015 – European Champion Esapekka Lappi (FIN) second, Pontus Tidemand (S) in third: ŠKODA celebrated a brilliant WRC debut with its new Fabia R5 at the Rally de Portugal. 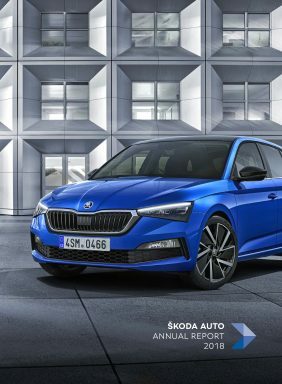 The new ŠKODA rally car not only mastered the endurance test over 324.18 kilometres successfully, but also showed signs of its great potential with its first five stage best times in the WRC 2 category of the FIA World Rally Championship. “My thanks go to the whole team that coped so well with the double challenge of starting in the World Rally Championship and the Czech Rally Championship. Our Fabia R5 worked perfectly in both rallies. It was a very successful weekend for ŠKODA!,” said ŠKODA Motorsport Director Michal Hrabánek after the first WRC start for his team in more than two years. On Saturday, Jan Kopecký/Pavel Dresler (CZ/CZ) were victorious at the 43rd edition of the Rally Český Krumlov after a real last-minute thriller. It was the second win for the new ŠKODA Fabia R5 at the second event in the Czech Rally Championship (MČR). Then on Sunday, 2000 kilometres away, the ŠKODA duos Esapekka Lappi/Janne Ferm (FIN) and Pontus Tidemand/Emil Axelsson (S) secured the first two WRC podium finishes in the new Fabia R5. There was excitement once again in the battle for the win in WRC 2 on the final day, when Lappi finished 41.0 seconds faster than front-runner Nasser Al-Attiyah (Q) on the penultimate special stage “Vieira do Minho”. However, the Dakar winner brought home a 12.0-second advantage over European Champion Lappi in the overall standings. “We are delighted with second place, after all it was our first ever rally in the ŠKODA Fabia R5. Our new tool was convincing in all conditions here in Portugal – whether on gravel or on the short asphalt sections,” said “Flying Finn” Lappi, full of praise, who got the fastest time in the WRC 2 category on five stages. “It’s brilliant starting in the WRC again. The atmosphere was fantastic.” Hundreds of thousands of spectators lined all 15 of the special stages at the Rally Portugal, with the absolute highlight being the legendary “Fafe” stage with its massive jump on Sunday. Lappi ended the day with another best time here. “It was great fun. We gained so much fantastic experience on the rally debut in the new Fabia R5,” said Tidemand. 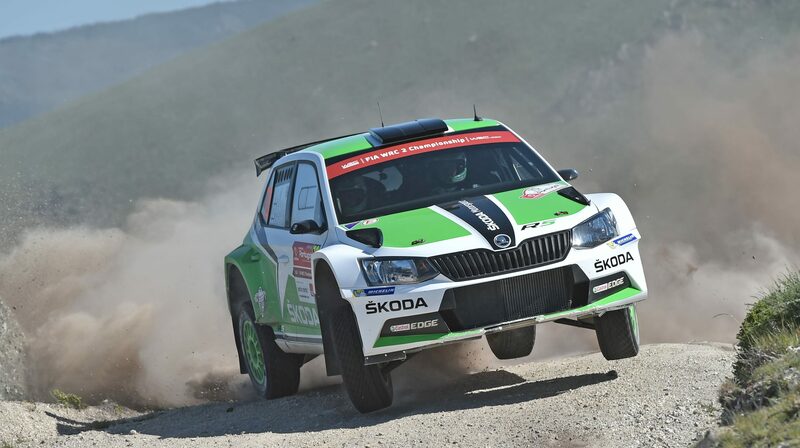 The new ŠKODA works driver now returns to the Asia-Pacific Rally Championship (APRC), where he is eager to defend his leading position in the overall standings from 19 to 21 June at the rally in Australia. In Portugal, Esapekka Lappi got the first five stage best times in the WRC 2 standings of the WRC for the ŠKODA Fabia R5. 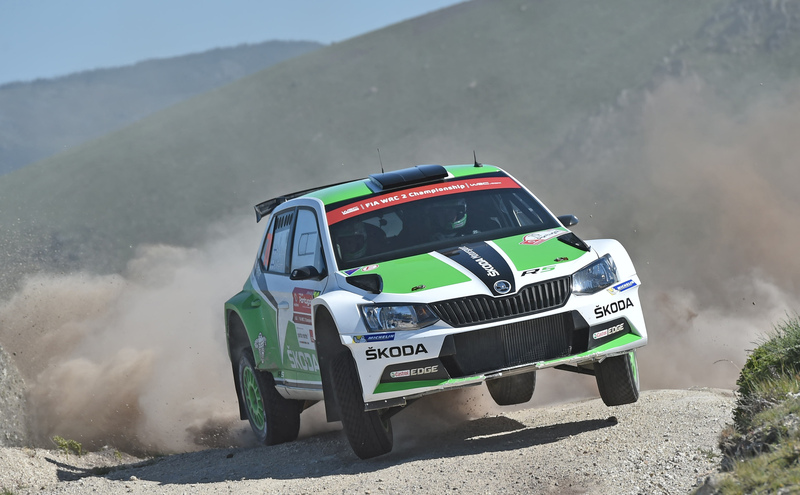 After he topped the results list for special stages eight to ten on Saturday, he was the fastest on special stage 15 “Vieira do Minho” on Sunday. This saw him finish an impressive 41.0 seconds faster than WRC 2 winner Nasser Al-Attiyah (Q). The “Flying Finn” was also number 1 on the legendary “Fafe” stage. 1. Al-Attiyah/Baumel (Q/F), Ford Fiesta S2000: 3:41:35.3 hrs. 2. Lappi/Ferm (FIN/FIN), ŠKODA Fabia R5: + 0:12.0 min. 3. Tidemand/Axelsson (S/S), ŠKODA Fabia R5: + 0:37.8 min. 4. Maurin/Klinger (F/F), Ford Fiesta S2000: + 2:51.2 min. 5. Lefebvre/Prévot (F/F), Citroën DS3 R5: + 2:59.6 min.